Once I was at a meeting with a group of church leaders. One woman there was the mother of a teenage daughter. She was lamenting how some of her daughter's friends had gone astray and she was wondering how we could keep our own children from going astray. One of the men spoke up and said, "We just need to pray continuously for them!". This didn't sit well with me. Afterall, how much prayer would be enough? Also, that seems to put it all on us. It also makes God out to be an ogre who witholds his mercy and grace from his children. The truth is, God never withholds his mercy and grace. We just need to tap into and get in touch with God's heart and his grace. When I pray for my children and others, I try to join my heart with God's heart for them and get in touch with what he already wants to do. I then place them in God's hand and entrust them to him without taking them back. Then I stand back and watch in amazement as God works and makes up for where I am lacking. This also helps make intercession a form of contemplation where I am able to encounter him. I am also a homeschooling mom. Some days can get a little overwhelming. There is always more that you feel like you could be teaching your children and there is always more housework and laundry that could be done. The Lord has really impressed on my heart that my main goal everyday needs to be to encounter him and help my children encounter him. Encountering him does not mean we say some prayers and memorize some scripture verses. Encountering him means we seek his face, meditate on his love and place ourselves in his presence. 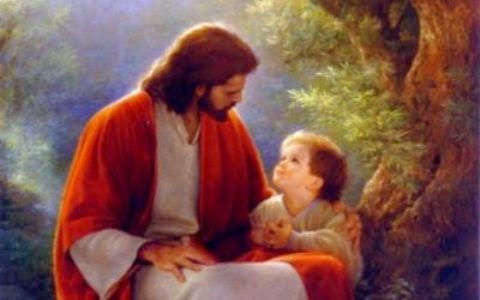 Instead of having my children memorize scripture I teach them the stories of Jesus' life so they get to know him and love him. As a homeschooling, stay-at-home mom, I do not always get through every subject. My house is often messy and I do not always get through all the laundry, but I can have peace at the end of the day knowing I did the most important thing...I encountered Christ and helped my children encounter him as well. First of all, religion does not have to be and should not be anti-relationship with God. I agree that we are called to have a relationship with God. Through Jesus' death and resurrection, he made a way for that to happen. We are called to "rend our hearts, not our garments." (Joel 2:3). And we are called to love God with our whole heart, mind and soul. He does not want just lip service, he wants heart service. In effect, he wants his law to be written on our hearts. I know people that think that striving to be obedient to the Lord is "being religious". I don't get that! Didn't Jesus even say, "If you love me, you will keep my commandments. "(John 14:15)? I would like to propose that if you are not walking in obedience to the Lord but go to church every week and say that you love him, you are "being religious". If you are lukewarm in your faith, but still go through the motions, you are "being religious". I also had someone tell me once, "Shoulds are bad and if you tell yourself, 'I should do this and I shouldn't do that', then you are being religious." Isn't that statement in itself being legalistic and putting God in a box? There are also those that say that 'guilt' is a bad thing as if ALL guilt was bad. Paul however in his letter to the Corinthians distinguishes and talks about a guilt that is a good thing. So, it sounds to me like there is a 'Godly guilt' that is a good thing because it can lead to someone leaving sin behind and changing their ways. Some Protestants also think it is religious that Catholics have a liturgy (a collection of formularies for public worship). 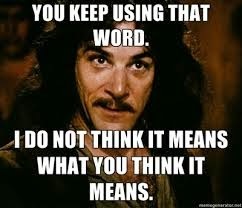 I hate to break it to my fellow Christians, but if you belong to a church, you probably have a liturgy. It may be a shallow liturgy, but it is still a liturgy. If you gather, sing a few songs, have a message and a time of prayer every week, that is a liturgy. If you are doing this every week but not inviting God to be in your midst, that is "being religious". If you are going through the motions but your heart is distant, not surrendered to the Lord and your thoughts are elsewhere, that is "being religious". In any given denomination you have those who just go through the motions but are not sold out for the Lord. It is not the religious institution or denomination that is the culprit, but the callousness of our own hearts. I think most of us have been "religious" at one point or another. Now, I will give "non-religious people" this, "religious people" might be more prevalent in a denomination where there are many born into it instead of choosing it. That is not as much the fault of the church as it is those in charge of teaching and catechizing (which should primarily be the parents). In the Catholic Church there also might be more to ensnare someone who is prone to scrupulosity and someone who has not yet had a personal encounter with the Lord. However, for someone who has had that personal encounter, there is so much richness and beauty that can aid to help one grow deeper in the faith and love of the Lord. Knowing what is there, why we do what we do and out of love for the Lord, putting our hearts into our Faith is not "being religious". If what we are doing is out of love for God, it is not "being religious"! I grew up in the Catholic Church, and growing up I did not know that we could have a relationship with Christ. I thought he created us, left us on this earth to fend for ourselves and watched from a distance like that 1980's song "From a Distance". However, that couldn't be further from the truth and when I was 19, my spiritual eyes were opened (through the breaking of the bread) at a Mass. I then discovered that God was very much in our midst, walking among us and imparting his grace through the Sacraments of the Church. I also was involved in non-denominational churches for ten years and knew people who went to church every Sunday but were not surrendered to Christ or living for him during the week. I propose that we as Catholics and Protestants who love the Lord, work together to help those around us encounter Christ. I say we stop judging, labeling and start loving one another, recognizing all we have in common instead of what is different. It is then and only then that Christ will be revealed in and through us!